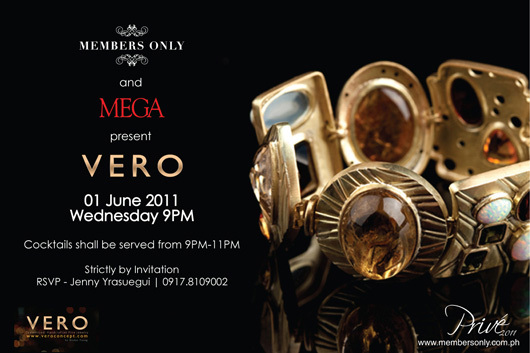 I was lucky enough to be invited to be one of Vero‘s muses for their Privé show this Wednesday. I can’t wait to see the Vero handcrafted jewelry I’m going to wear. I’m sure they’ll be as amazing as their previous collections, if not more. I hope you can drop by and support. You may request for your names to be added to the guest list through the contact number above. See you this Wednesday at Members Only! Visit veroconcept.com to learn more about the brand.